LL.B, B.A. (Hons, 1st class); Cert in Celebrant Studies. 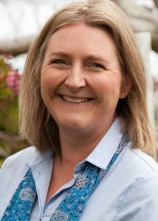 Mel’s background is as a legal editor and solicitor in Wellington, Auckland and London. She was registered as an Independent Marriage Celebrant in 2013, soon after completing her Certificate in Celebrant Studies. She quickly grew a thriving celebrancy practice. Mel’s work as a marriage and funeral celebrant is a natural progression of her skills and passion for people, storytelling, creative writing, sharing knowledge, family values, and incorporating Aotearoa New Zealand’s many cultures and communities into ceremonies in a meaningful way. She has 4 young children and is a former Playcentre parent-educator.